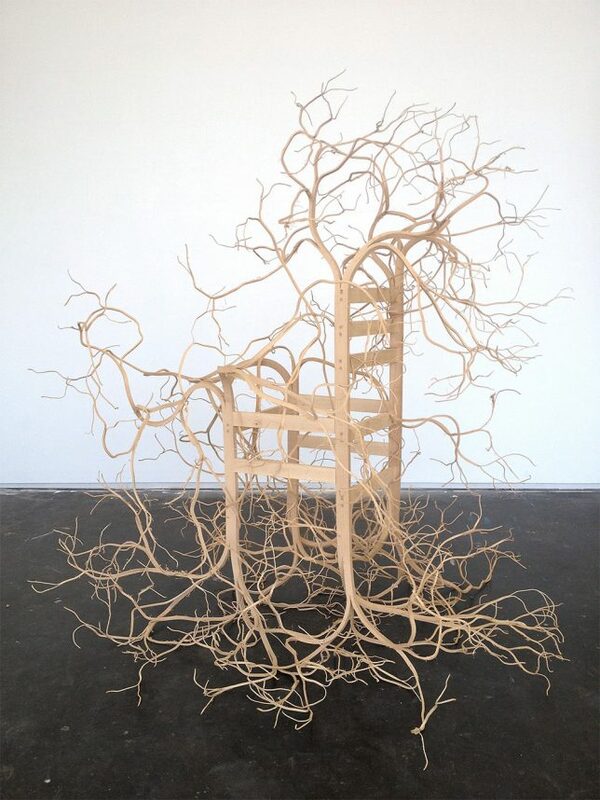 Trees seem to temporarily allow humans to form them into a new shape and give them a different purpose before reclaiming their wild nature and going on with their tree-business in these wild wood designs. 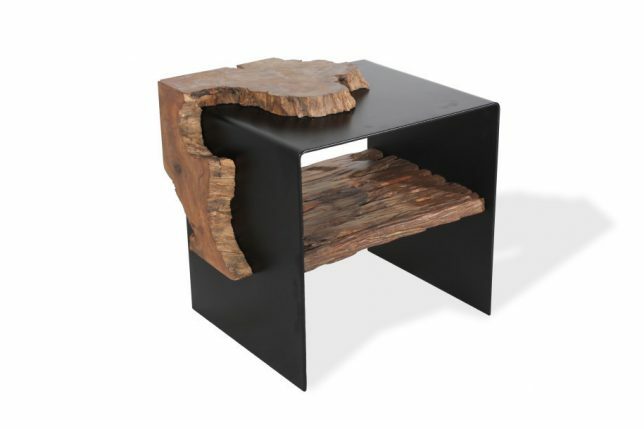 Taking a modern approach to branch-based furniture, decor and sculpture, they celebrate the natural qualities of the materials, allowing them to shine in a way that makes them feel truly alive. 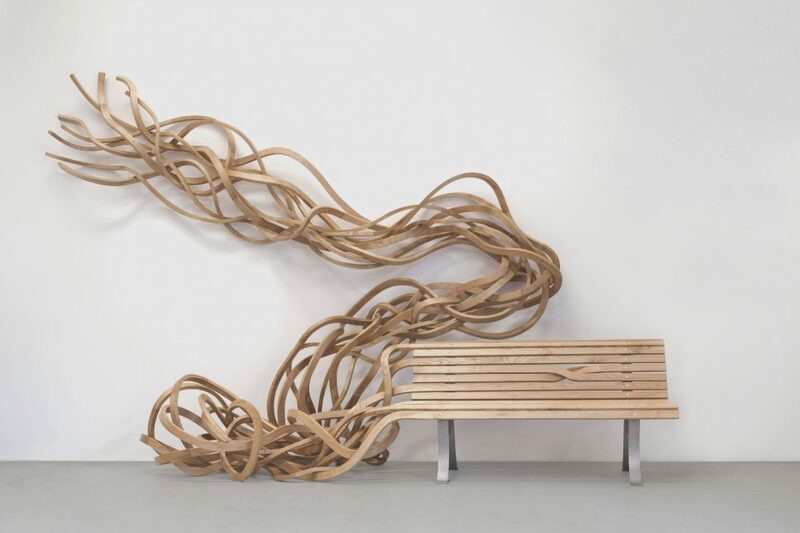 The slats of a wooden bench just keep growing as if they’re still alive, tangling together and climbing up walls, in Pablo Reinoso’s ‘Spaghetti Bench’ series. 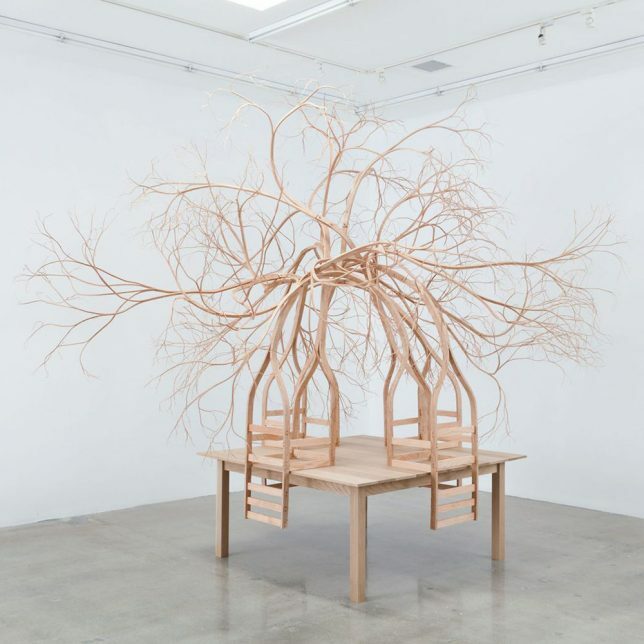 It’s almost like the tree the wood came from allowed itself to serve a purpose as seating only temporarily, and then decided to go about its life. 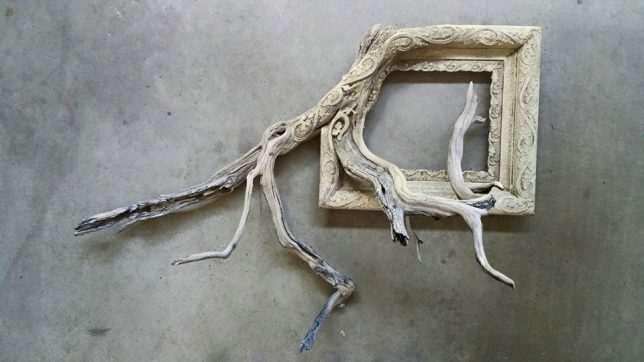 The artist extends the same technique to other objects, like picture frames. 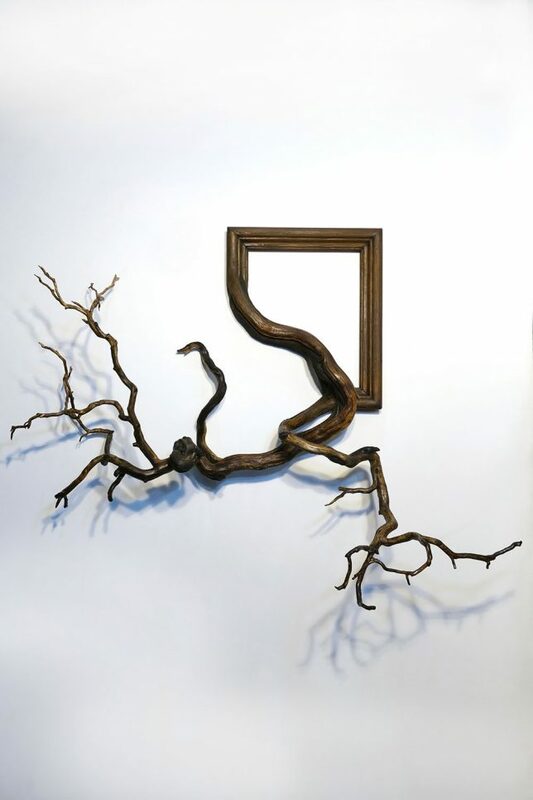 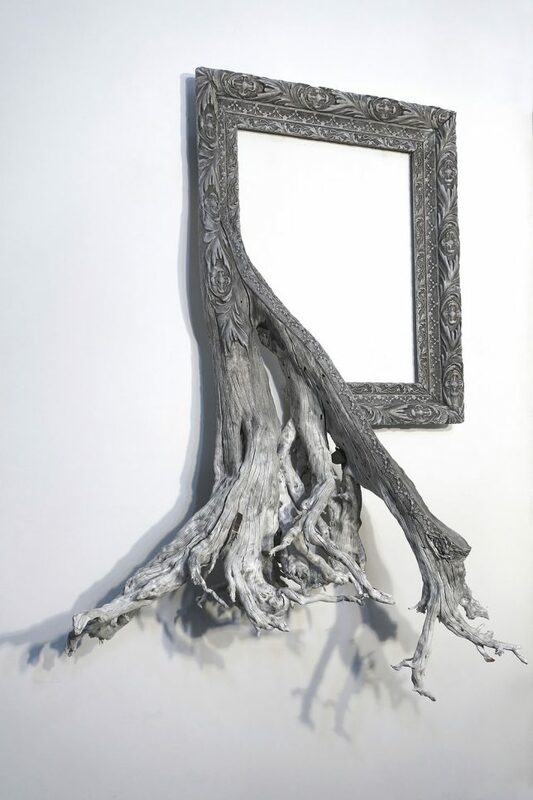 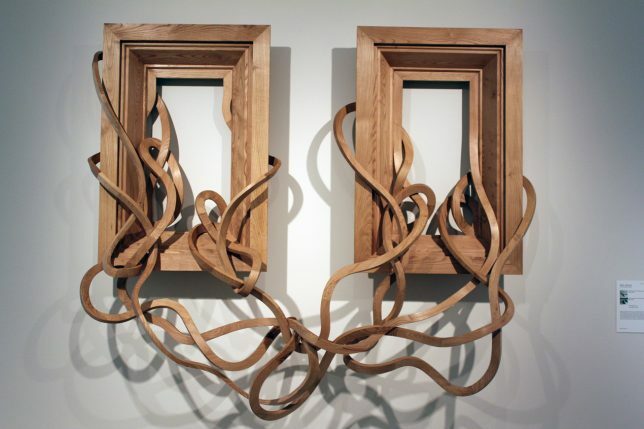 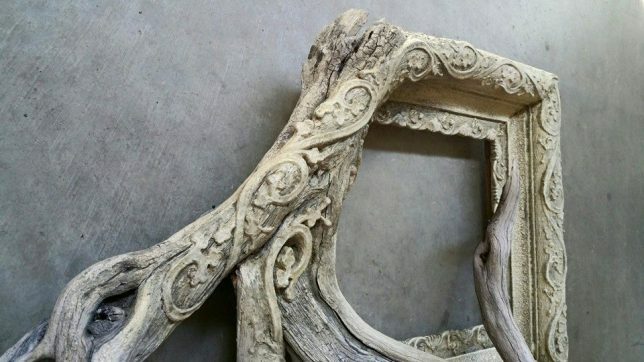 These hybrid frames by Oregon-based artist Darryl Cox start out as two separate objects – the reclaimed roots of manzanita, aspen and juniper trees, and a carefully matched picture frame. 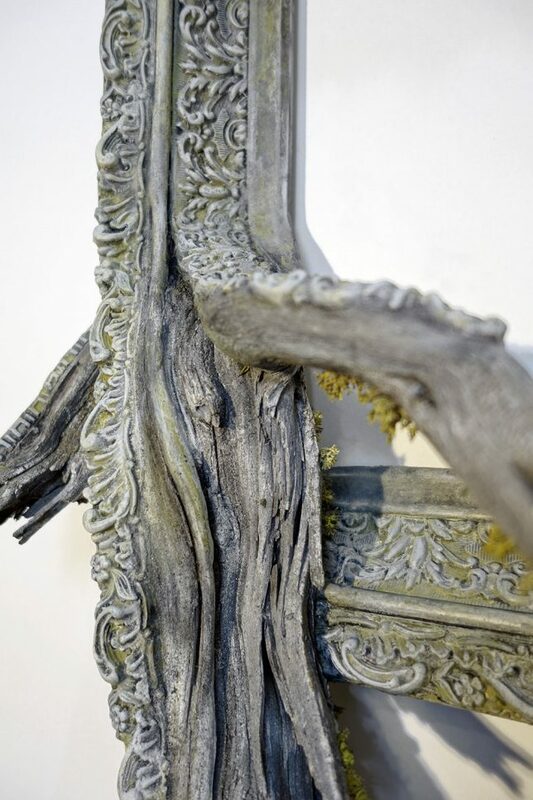 The artist carefully matches the tone and texture of the two objects and painstakingly blends them together with carving tools and paint. 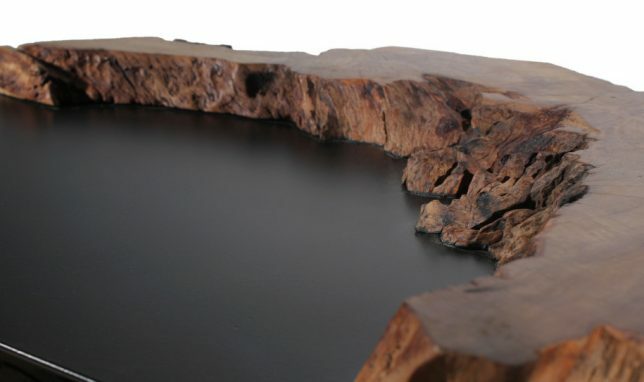 Look closely and you’ll find that the seams are virtually undetectable. 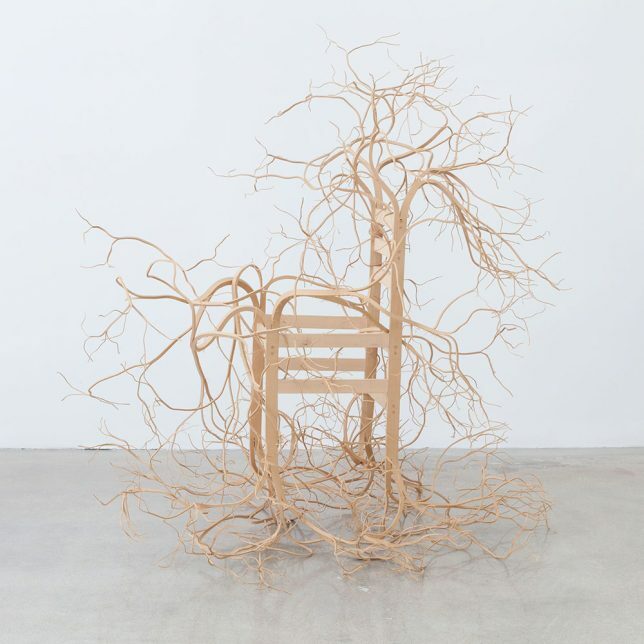 The temporarily tamed wood that’s been crafted into chairs and other functional items starts to rebel before you can even sit down in this series by artist Pontus Willfors. 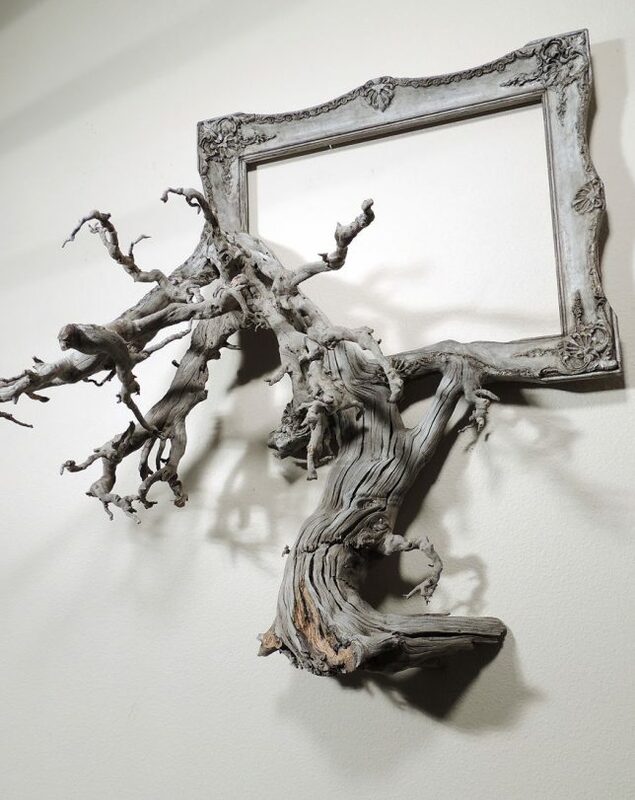 It’s almost as if the trees have decided they have no patience for human attempts to turn them into something unnatural. 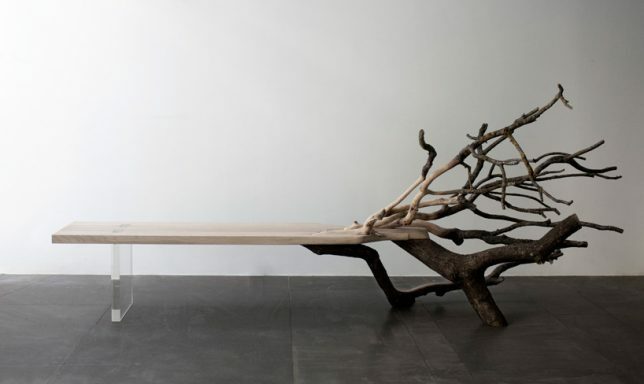 This bench by Benjamin Graindorge can’t hide its origins, the smooth surface giving way to stripped branches and then bark. 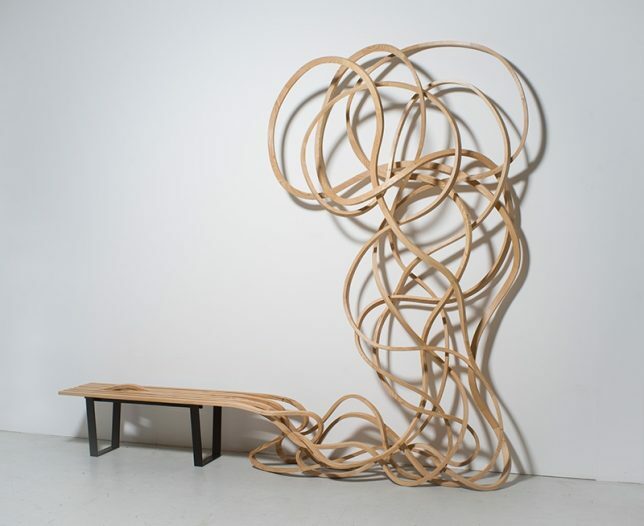 ‘Fallen Tree Bench ‘ is fully supported on one side by a tangle of branches as if we caught it in mid-morph. 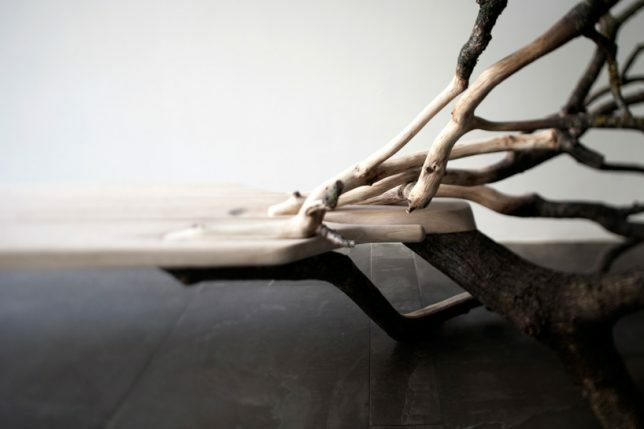 Designer Bernardo Urbina blends unexpected upcycled materials together into minimalist tables and other objects. 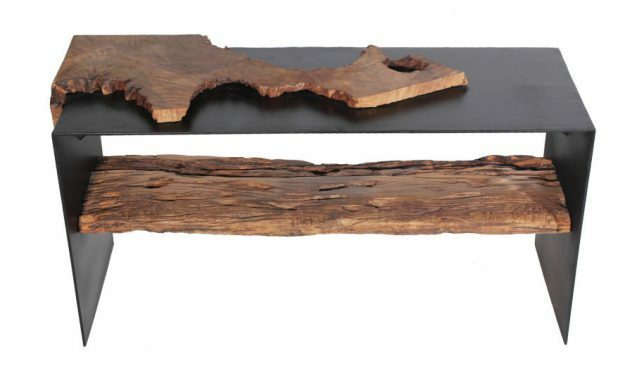 For these two tables, he chose wrap Traviesa and Tugas wood around a black folded metal base.